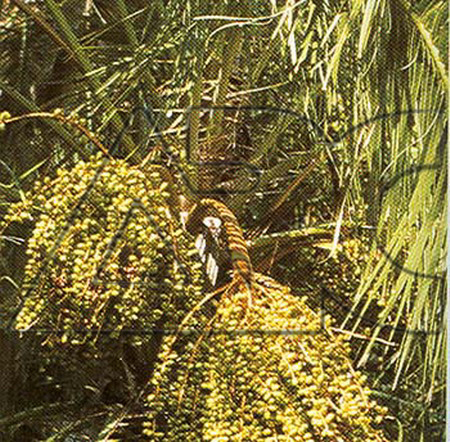 Small, clustering palm with ascending or leaning, slender stems clad with fibrous, red brown leaf remains. Leaves, up to 2.5m long, are composed of many linear, mid-to deep green leaflets, usually arranged in several planes. Bowl-shaped cream flowers are produced in panicles, up to 1.5m long, usually in summer, followed by cylindrical-ellipsoid, edible but dry, orange-red to black fruit, up to 2cm across.